Wait. What? What? Wait… WHAT? Oh my – that’s an alarming development. Florida just swung heavily in the other direction. It looks like this thing might actually go to the wire now. Best get comfortable – we’re not going anywhere until this is resolved, one way or another. It’s not an inspiring box, I know. Let’s back up and come at this from a different angle. 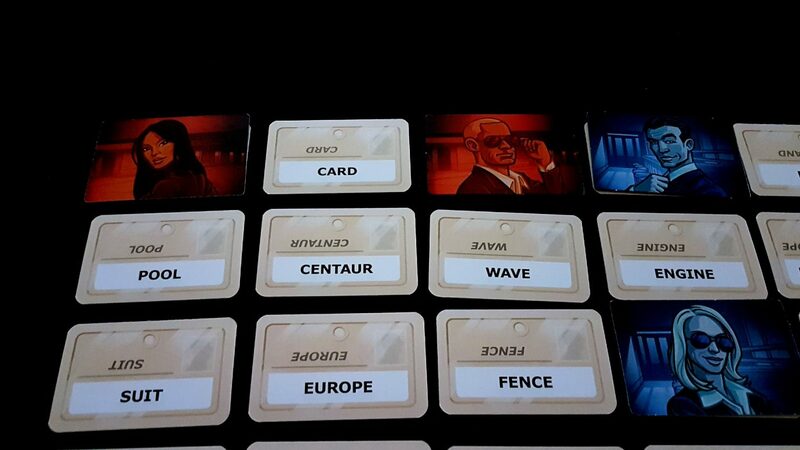 For all its popular and critical acclaim, Codenames is a game that has singularly failed to get my plums pumping. I hear tell of this fabulous, mysterious game that energises a room like nothing else. It’s the closest thing to a hit of ecstasy as you can find in a cardboard box. 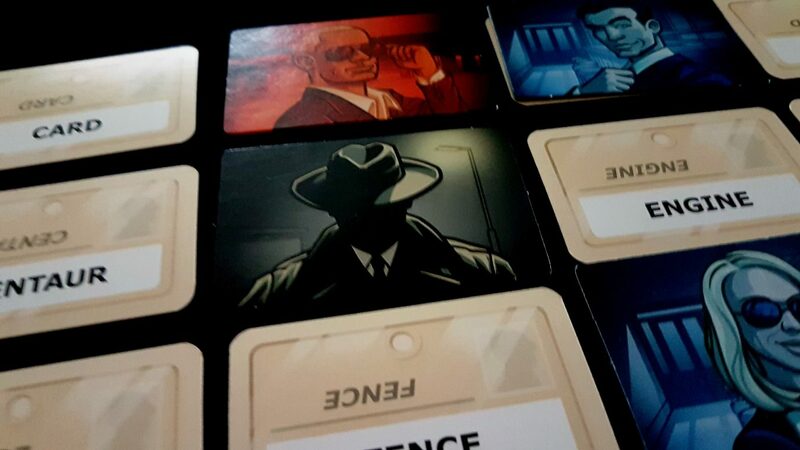 Codenames gets passed around like a hot tip at a racetrack – a dead cert. It’s a ‘can’t lose’ proposition. A must buy and a must play. There’s nothing I like more than having a contrarian viewpoint. Before we get to that, let’s talk about how Codenames works. 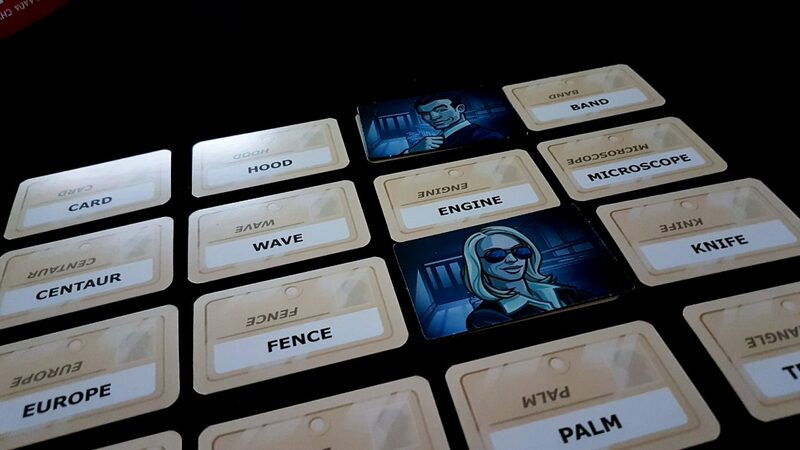 Two teams of players are going to try and navigate a maze of codenames – they’ll attempt to identify their own agents and extract them from what has obviously become a wild and unforgiving danger zone. They’ll be trying to avoid civilians and the sinister assassin that can end the game, and presumably life, for whoever is unlucky enough to make contact. Each team has a spymaster, and the job of the spymaster is to provide verbal clues to the rest of the team. Those clues relate to the code-names spread out before them. 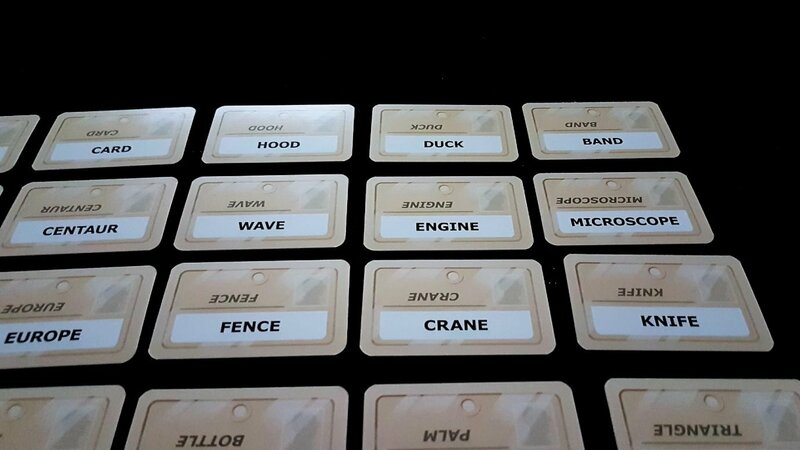 And my, what a lot of codenames there are. There is a very hefty deck of these, ensuring that there’s little risk of running out of combinations for the foreseeable future. Each of the cards here is double-sided, and you shuffle and deal them out into a 5×5 grid each time. 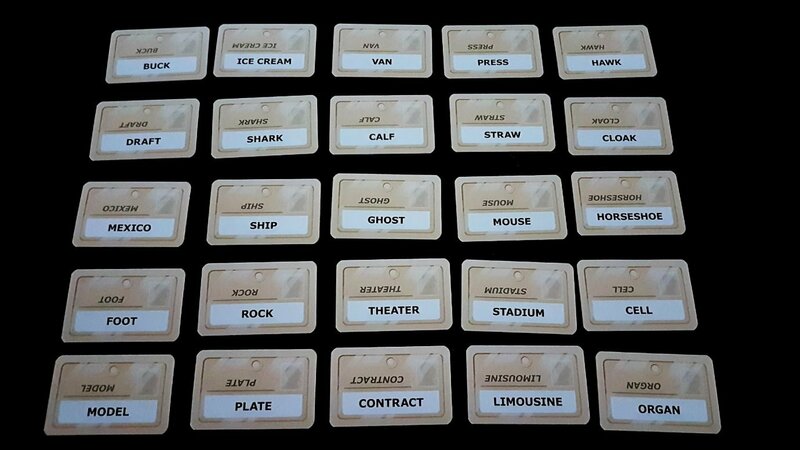 This is more than just a random set up – Codenames thrives in a design space that emphasises connections between disconnected words. As such, every new setup is a brand new puzzle, and one that even with repeated familiarity manages to resist becoming stale. That’s perhaps because the other moving part in the setup is the coloured grid that determines which agents belong to which side. Each card represents four puzzles in itself, because it can be rotated around to give an entirely new lens on the agents each time you play. 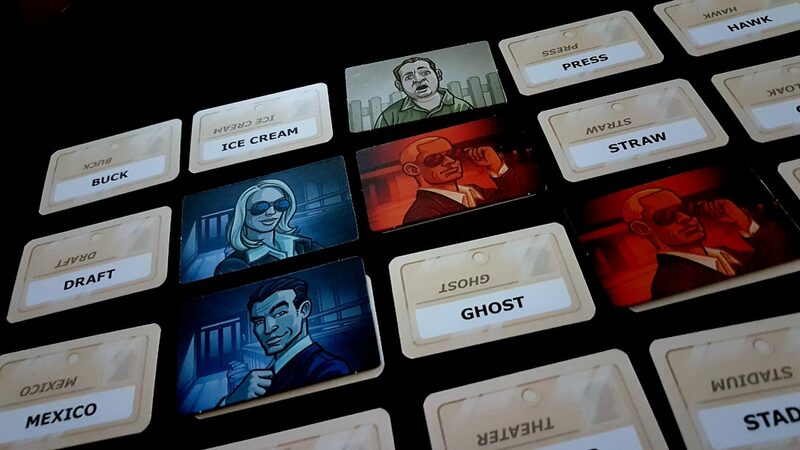 The little coloured grid is available only to the spymasters, and it shows which cards refer to which agents. Robin, Card and Hood are all red agents. Duck, Band and Centaur are blue agents. 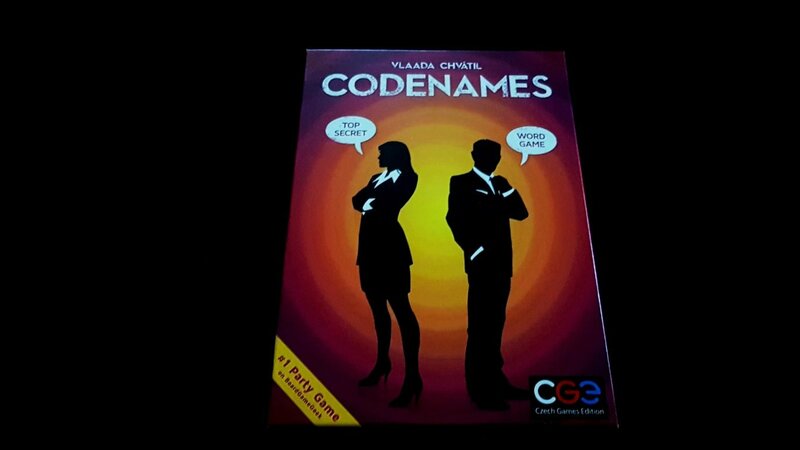 The words, as the game name suggests, are the codenames for the agents themselves. Wave is the assassin, and all the uncoloured cards represent an innocent bystander. We want to avoid those, because presumably when we make contact with some jackass mowing the lawn it creates more problems than it solves. Agent Duck? Man, whoever that is must have seriously pissed off their handler to get landed with that name. Agent Knife was clearly the teacher’s favourite. Have a word with yourself, Agent Duck. You’re an embarrassment to the world of espionage. Why can’t you be more like Agent Ghost, or Agent Ice Cream? The spymasters have the hardest task – each needs to have their agents contacted more quickly than the other. That’s a task that calls for careful consideration and leaps of intuitive logic. It needs the careful reading of the team and the leveraging of shared experience. Each time a clue is provided, the spymaster will provide a number – ‘this word refers to this number of cards’. But that word is strictly limited. You can’t give any extra hints. You can’t use words that are already in the grid. Your clue has to be about the meaning of the word, and you can’t use compound words – you can’t say ‘micro’ or ‘scope’ while ‘microscope’ is on the table. You can’t use homonyms, but you can use proper names. You can rhyme, but only if they relate to the meaning. There is a degree of verbal scaffolding that you need to erect to be able to properly approach this puzzle. You’ve a lot to contend with. More problematically, your biggest obstacle will be the other players on your team. You can fluff it up and give an obvious clue that only tags a single agent, but you have to expect your opponent is going to be more ambitious. You’re going to have to tie words together, logically and consistently, in a package that you hope can be unwrapped. You can’t be too blatant about it, because the other team can use that information to narrow down their own guesses if your team fumbles the pass. If they don’t get ‘Centaur’ from your clue ‘Umbridge, 1’ then the other team knows Centaur isn’t one of theirs and they can disregard it in future clues of their own. You need to bear that in mind when communicating with your team. Has anyone heard from Agent Microscope recently? Last I heard she was with Agent Fence. Our blue spymaster starts. He thinks for a moment, and then says ‘Bird, two’. He’s looking at ‘Duck’ and ‘Crane’ and thinks ‘yep, start them off easy’. Then he runs his eyes over the board and sees the ‘Robin’ that he didn’t notice – oh no. He can’t say anything. He can’t change his mind. All he can do is hope that the team guesses correctly. They can confer, and that can be achingly frustrating as you hear them talk themselves into heading off in entirely the wrong direction. ‘Duck’, says one of the players on the blue team. The spymaster breathes a sigh of relief. At least one agent was contacted. ‘Robin?’, asks one of the other players to her teammates. They look intently at the grid. ‘I think you’d need to be a complete idiot to think ‘crane’ before ‘robin’ when considering birds’, the first says, not unreasonably. ‘Yeah, but Michael is a complete idiot’, says the second, also not entirely unreasonably. ‘True. A complete fool. Let us rely on his idiocy. Crane’, they agree upon. The spymaster sighs in relief one more, and covers up the two cards with the appropriate colour agent. His team stares at him. He giggles to himself, not quite able to meet their accusatory gazes. They were bluuuuue agents. Bluer than agents, were the knives. ‘Nottingham, two’, says the red spymaster. Instantly, the team respond, ‘Robin’ and ‘Hood’. Those cards too get covered. Blue frowns. Obviously it’s time to pick up the pace. ‘Island, three’, he says. Palm trees, yep. Dates – yep, delicious dates. And if you wanted to get to an island, you’d use a helicopter, right? Seems pretty obvious. ‘Palm’ says the team. It’s covered up. There’s some conferring. ‘Date?’, they suggest with the uncertain tone of people absolutely sure their spymaster is an idiot. It’s covered up. Emboldened, the third answer comes more swiftly, with a cheerful grin. ‘Wave’. Wave is the assassin – game over, man. Game over. The assassin strikes. Blue loses. Red wins. ‘What the hell was it then?’, the blue team demand with justifiable irritation. ‘It was helicopter, OBVIOUSLY’, replies the spymaster, ‘Because you’d use a helicopter to get to an island. Sometimes. Well, that’s how they got to Jurassic Park’. The recrimination tinges the silence with palpable presence as the next grid is dealt out. Responsibility for being the spymaster rotates around the table. It’s time for the other team members to understand what it’s like. It’s easy to judge when you’re having imprecise gobbledygook sent your way as a pale excuse for meaningful clues. A stint in the spymaster chair though soon brings a necessary dose of humility. It’s not an easy task, no matter how simple the manual makes it sound. 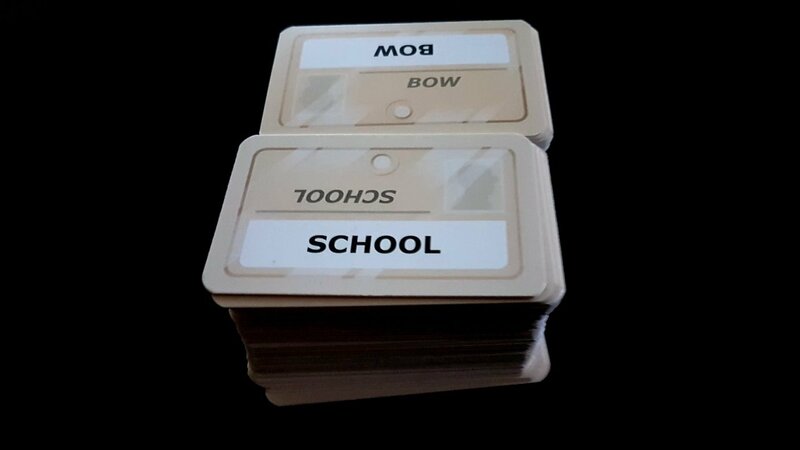 That’s really all there is to say about Codenames. It’s not a complex game at all – aside from the slightly byzantine rules surrounding what constitutes a valid clue, it’s almost entirely intuitive. It derives its game flow from social interplay, and the ever shifting puzzle that the cards and grids put before you. The rules, by and large, are an excuse to just have espionage themed fun with your friends. They don’t get in the way – they facilitate the alchemy of entertainment and then they disappear like an inert steam. That’s both the genius of Codenames and its fundamental weakness. I sometimes say in these reviews that a game is highly dependent on its social context. In a sense, that’s empty criticism – a bad group will make even the best game a chore to play. Someone that takes it too seriously, or not seriously enough, will render an evening with your most reliable favourites something you wish would just end. However, most games are a catalyst for group fun – they give you reasons to chat, and laugh, and trash talk, and jeer, and sneer, and just have a great old time. Anyone can have fun with any game – it’s the reason, in my mind, that the world still has Monopoly on its shelves. Good games add a richness to the fun you’d be having if the game wasn’t already there. They’re a score multiplier. When it works, Codenames accomplishes this with aplomb. It creates genuinely funny moments where the mental stress of trying to bridge a handful of unrelated words causes you to forget what things actually mean. Debates between team members can focus not only on the clue, but on the meta-information around the clue. As a spymaster, you might listen to yourself being excoriated by people ostensibly on your side as they try to tease out the precise parameters of your presumed ignorance. That’s just funny for everyone involved, especially if the spymaster is part of it. ‘I know that Centaurs aren’t animals, but I think that they will think that I think they are’. What’s more, it remains funny regardless if your assumed incompetence then leads to success or failure. Someone succeeding because they correctly pegged you as an idiot is hilarious for the table. Failing because they under-estimated your intelligence too is very funny because the thought process laid before the table is inherently comic. It’s got more than that going for it too – it’s a game that permits a sense of shared genius when everything comes together. It creates moments of great triumph, where you offer a tentative ‘landmarks, five’ and your team actually get all five. It can permit an ongoing state of real accomplishment. It can lead to moments of altered perception. The spies must flow. Perhaps you’ll spend the evening wondering exactly what it is you’re supposed to be getting out of the experience. 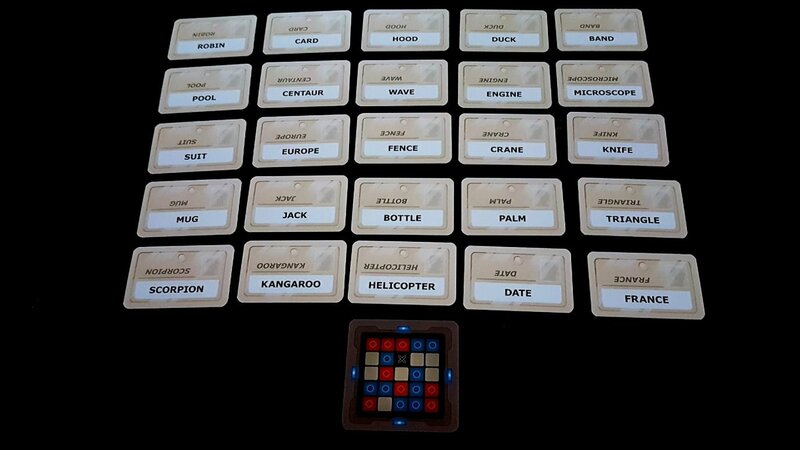 Codenames after all is a game of meditative silence followed by bursts of conversation. The spymaster has a mentally taxing job to do, and doesn’t have time for chit-chat. Even if they did, the rules prohibit the spymaster taking a role in discussions. They are required to ‘keep a straight face’, and while that doesn’t specifically stop you talking it does mean you can’t give anything away about the clues. You might make some idle chatter with your opposite number but the table as a whole can’t really talk as a group. The debate that is permitted between team members is only as deep as the clues that are given. ‘Birds, 2’ is unlikely to yield any great revelation from shared discussion, and going deeper with clues is hugely dependent on the camaraderie of the team. Identifying the correct answers is often anti-climactic as a result. Worse, if you play a four player game with two teams, it’s a 2v2 setup that means that fully half of the team aren’t engaged in discussion during any given turn. 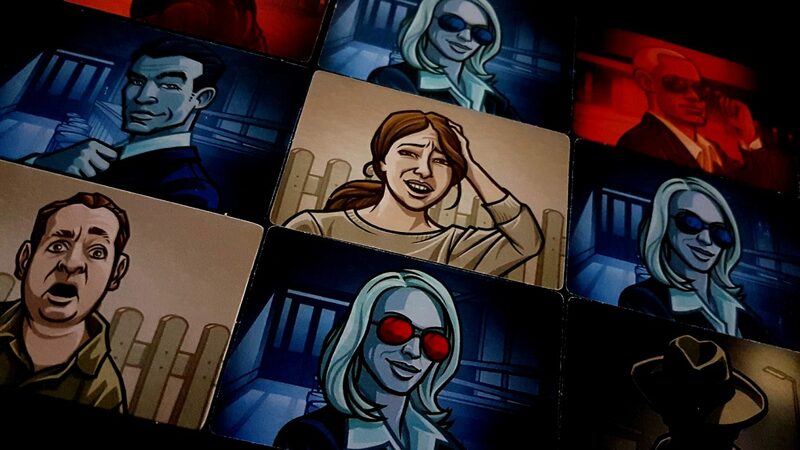 Codenames, at its worst, is a series of long, awkward pauses interspersed with other long, awkward pauses. It’s better to compete against the dummy player in such circumstances than it is to compete against each other, and that’s not a great endorsement of the fundamental design. It’s a party game that in many circumstances will act as a barrier, not a facilitator, to group interaction. Who the hell is Agent Van? Wait, what’s the syringe for? Playing with a timer does add a certain electricity to play, but that electricity is a jolt to the pace and not to the quality of the experience. When left to your own devices, the spymaster role can be a hauntingly intense process of maximising connections through increasingly obscure chains of association. When you’re staring down a sand-timer you rarely have time to be creative. In the end, necessity dictates you go for that which is cheap, and easy, and obvious. That might be great if you can mine a deep vein of shared experience with your team-mates. It can be amazing if you can say ‘Blackpool, 4’ and they get ‘Donkey, dance, smuggler, China’ because of that trip to the illuminations that you all agreed never to talk about again. If you don’t have that shared bank of personal references you might end up saying ‘spooky, 1’ to lead them to ‘ghost’. That’s not impressively good, or hilariously bad. It’s just – a thing that happened. Sadly, none of the games I’ve played of Codenames have sparked with the electric intensity that so many others have experienced. As a vocabulary based word-game, it should have been an easy sell for me – it’s the kind of game I tend to love. However, I’ve come away from each experience feeling passably entertained, but far from enthusiastic. It’s okay – it’s absolutely fine. I don’t feel any great agitation at the accolades it has accumulated. I’m willing to accept it’s a wonderful experience if you can get the stars to align. They just haven’t for me, and I’m losing hope that they ever will. Good game, but I don’t understand the “great thing ever” hype. Yeah, we’ve had fun with it on occasion but not enough and not reliably enough to really understand the strength of feeling. I might still buy the Disney one though because I might be able to finally find a use for this deep well of knowledge about Disney princesses.